We are committed to protecting and respecting the privacy of all visitors and users of our Site (the “Site”). If you are under 18, please be sure to read this policy with your parents or legal guardians and ask questions about things you do not understand. 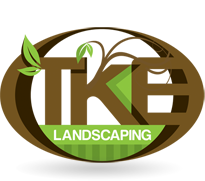 Children under 13 should get your parent’s or legal guardians’ permission before giving out your e-mail address or any personal information to TKE Landscaping or anyone else on the internet. 1.2. We will only pass on your personal information to third parties if it is an essential part of trading with you (i.e. passing on you name and address to our carriers). We will not rent or sell your name, address, email address, credit card details or any other personal information to any unrelated third party. 1.3. From time to time we may also request further information to help us improve our service to you. 1.4. We may also ask you to complete surveys that we use for research purposes, although you do not have to respond to them. 2.1. We also use your Internet Protocol (IP) address. An IP address is a set of numbers, which is assigned to your computer during a browsing session. It is automatically logged by our servers and used to collect traffic data about visitors to our web sites. We do not use your IP address to identify you personally. 2.3. Cookies do not contain confidential information such as your home address, telephone number or credit card details. We do not exchange cookies with any third party websites. 3.1. We monitor customer traffic on an aggregate basis using cookies and code, which is embedded, in the Site. This provides statistical information about visits to pages on the Site, the duration of individual page view, paths taken by visitors through the Site, data on visitors screen settings and other general information. International Furniture House Limited uses this information to help improve the Site and services to its users. 4.1. We store your personal information in the United Kingdom. 4.2. We follow strict security procedures in the storage and disclosure of personal information to prevent unauthorised access or unlawful processing of your personal information. We keep your information confidential and store it on a secure server which is password protected and hidden behind a firewall. 4.3. The Verisign Secure Site Program allows you to learn more about web sites you visit before you submit any confidential information. When you see a Verisign logo, clicking on it will verify that this Site is secure. 5. We will never send an email or telephone you to ask for your security information or log on details. 5.1. Unfortunately, the transmission of information via the internet is not completely secure. Although we will do our best to protect your personal data, we cannot guarantee the security of your data transmitted to our Site. Any transmission is at your own risk. You accept the inherent security risks of providing information and dealing on line over the internet. Once we have received your information, we will use strict procedures and security features to try to prevent unauthorised access. We will not be held responsible for any breach of security unless this is due to our negligence or wilful default. 7.1. You will have the opportunity to subscribe to other areas of the Site. For instance you may wish to receive our newsletter or enter competitions. In these circumstances we will ask for additional information, such as your age, occupation etc. This will help us to target our marketing in a way we feel would be of specific interest to you. We may, from time to time, send you inserts advertising the goods or services of unrelated third party companies. However, we do not pass on your personal data to these third party companies. 8.1.1. to any member of our group, which means our subsidiaries, our ultimate holding company and its subsidiaries, as defined in section 1159 of the Companies Act 2006. 8.2. Unless required to do so by law, we will not otherwise share, sell or distribute any of the personal information you provide to us without your consent. 9.1.1. If you no longer wish to receive marketing information from us you have the option of ‘opting out’. Clear instructions on how to opt out of each area will be detailed specifically (for instance at the bottom of our e-newsletter your will have the option ‘To unsubscribe form our emails click here’). Alternatively, please let us know in writing. 9.2. Access to information You are entitled to see the information held about you and you may ask us to make any necessary changes to ensure that it is accurate and kept up to date. If you wish to do this, please write to us at great.gardens@tkelandscaping.co.uk or TKE Landscaping, Saffron House, Rookery Lane, Wendens Ambo, Essex, CB11 4JS. 9.2.1. We are entitled by law to charge a fee of £10 to meet our costs in providing you with details of the information we hold about you.